Did you read yesterday’s review of Super Planet Defender? If so, today we’ve got an article you simply can’t miss! Today we’d like to share with you our interview with Ruim, the developer of Super Planet Defender! If you are a die hard mobile gaming enthusiast, congratulations! You’ve just stumbled upon a quick interview that will take you on an adventure through the development process of Super Planet Defender! Before we start, we’d like to thank Ruim for participating in our interview, and for spending some of his valuable time answering our questions. Thanks! Ok first up, why did you decide to make Super Planet Defender? I’ve been wanting to get more seriously into game development. Super Planet defender came from making some prototypes with the game mechanics and trying to come up with something that would not take too long to implement (due to being just 1 person with a “real” job) and was interesting and fun to play. I’ve always enjoyed simple and stylish illustrations and I’ve actually done some projects as a freelance illustrator. Also, because time is very limited, by making minimalist visuals I could (1) make them myself and not depend on anyone else and (2) reduce development time. The difficulty level in Super Planet Defender seems to fit perfectly into that not too hard yet not too easy sweet spot. 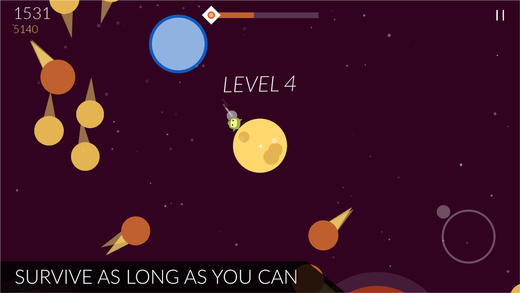 How did you manage difficulty levels when developing Super Planet Defender? 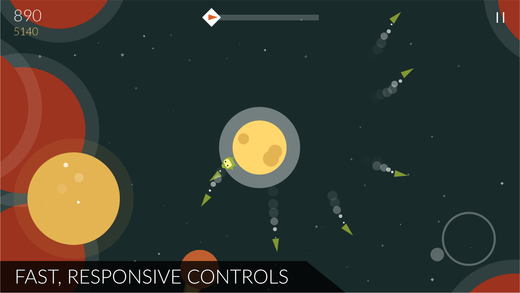 What programming language and or software did you use when making Super Planet Defender? I used GameMaker: Studio to create the game. GameMaker: Studio is simple and fast to develop with and was a good match for the type of game I was making. I enjoyed working with it a lot. Ok, here is a difficult question. 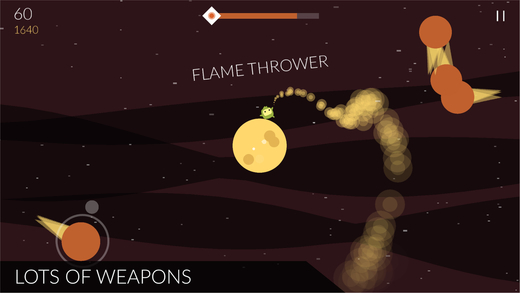 What was the hardest problem you needed to overcome when developing Super Planet Defender? The hardest part was finding time with family and a full-time job. Technically the most difficult problem was implementing some achievements and leaderboards stuff that required developing native extensions for Game Maker. That was a tough process because I had never done it before. A few words to Super Planet Defender fans on Edamame Reviews. Thanks for playing the game, this is my first “serious” mobile game and I really hope people enjoy it. I’m thinking about what to develop next and hope to release something new in the next few months. Thanks Edamame for reviewing and interviewing me and my game. Exposure is really hard for indie developers and you guys were fast and friendly. I really appreciate that. 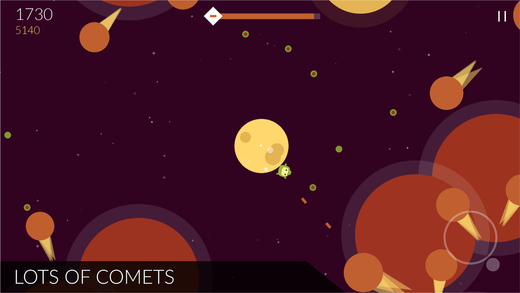 Want to give Super Planet Defender a try?